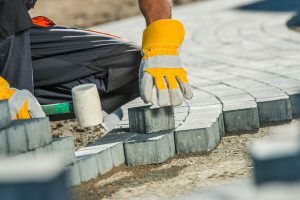 Whether at the front or rear of your property we can offer a wide range of material including natural stone, granite and block paving. Our specialists can get quite creative to design circular patterns and other styles. 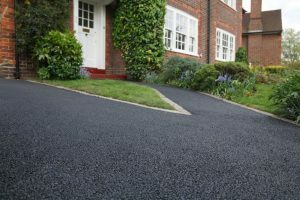 You can choose many designs and materials for new driveways including textured, riven-effect and decorative, providing years of low maintenance use. Our construction is to the book, providing the regulated tested level of depth and foundations for the sub base, screeding and drainage. 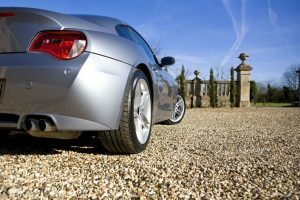 Shingle or gravel driveways are a good alternative to blocked paving if you are on a budget. These driveways generally last longer than paved driveways and can be more environmentally friendly. This is because rain and snow is absorbed into the ground beneath the gravel to prevent flooding or extra drainage work. 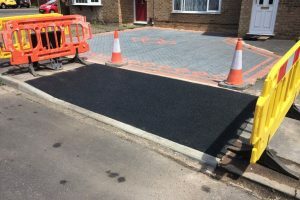 Tarmac driveways are a hard wearing and practical solution with minimum maintenance and after care needed, which is ideal for larger driveways. Our specialists are conform to current building regulations for technique, materials and finish. As this solution is very long lasting, we include edging and drainage for water run-off to prevent flooding. 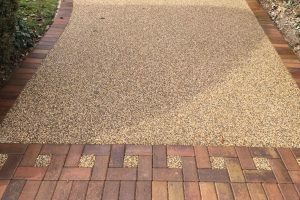 Resin bound stone is a popular and stylish option. It creates a long-lasting, even, anti-slip and permeable surface. This is achieved by carefully coating each stone with clear resin. Each stone can have a different shape and colour and covering them with resin not only keeps them together, but also protects them. 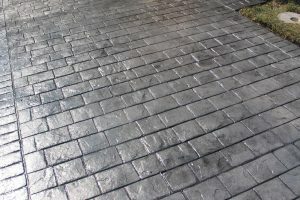 This method is highly innovative to involve stamping the surface of freshly poured ready mixed concrete to simulate the look of cobbles, brick, slate, tile or stone. A specially formulated, high strength, fibre entrained concrete mix is poured on site, before a dry shake colour hardener is then floated into the surface. The concrete is then imprinted with specially designed textured mats to give an individual and beautiful appearance. Drop kerbs not only increase the value of the property, but offer a very needed access for your driveway or pathway. We are fully approved and our work is guaranteed, operating to council rules and regulations. You don’t need to worry about liaising with planning as we can do that before you at the first stage of the process.